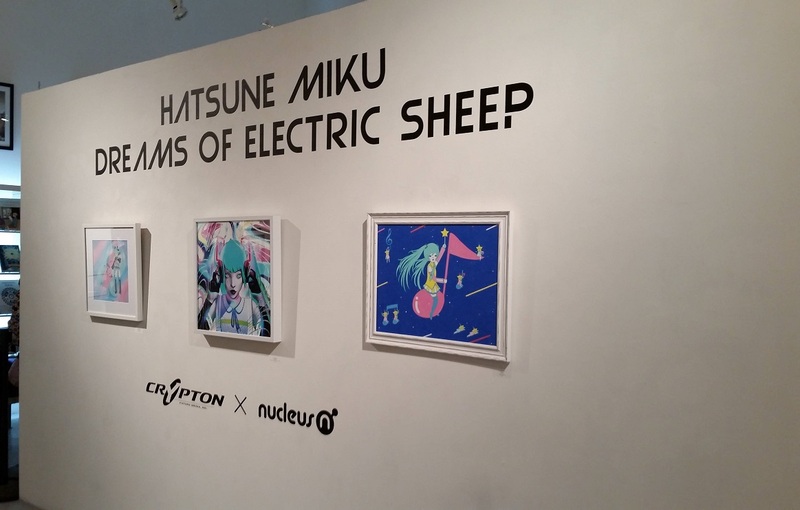 Gallery Nucleus has collaborated with Crypton Future Media to present Hatsune Miku: Dreams of Electric Sheep, an art exhibition in Alhambra, California. 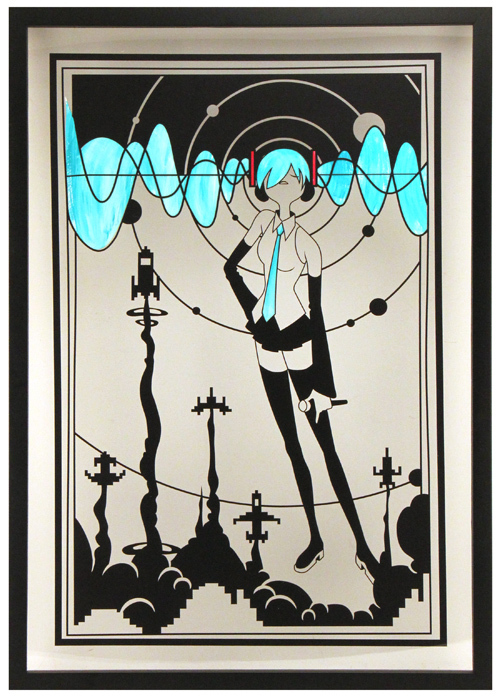 The exhibition features original artworks from different artists, showcasing virtual idol Hatsune Miku in various art styles. All art in the exhibition are available for purchase. The opening reception on July 2 included a Hatsune Miku Concert screening in which tickets were sold out by the time of the event. Hatsune Miku: Dreams of Electric Sheep will run Tuesdays to Sundays from July 2 to July 19. “Hatsune Miku, the world famous virtual singer from Japan, is pursuing her exciting journey from vocal synthesizer software to beloved collaboratively constructed cyber celebrity, with a growing user community across the world. She is also often called a global icon or ‘hub’, because the culture around her encourages a worldwide creative community to produce and share Miku-related contents and artworks. An avid Type-Moon fan that likes to read light novels in bed.